Almost six months have passed since the new 12-sided pound coin was unveiled and introduced into financial circulation by the Royal Mint. 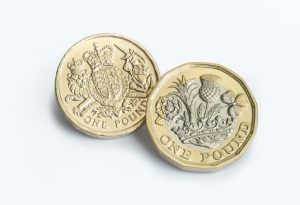 Although the new design is thinner, lighter and said to be the most difficult coin in the world to counterfeit, it also effectively spelt the death knell for our beloved ‘round pound’, which has been in circulation since 1983 when it was introduced as a replacement for the former £1 note. During these 34 years, it’s said that over two billion pound coins have been printed by the Mint, making it one of the most widely produced coins in British history. Now, people living in Great Britain only have a limited time remaining to spend, bank or donate their old pound coins before they becomes obsolete and no longer usable. If you have any old £1 coins lying around in your wallet, or down the back of the sofa, you have until 15 October to spend them. This is the date by which shops and businesses are legally allowed to refuse the old coin as legal tender. For those who are looking to make every penny go as far as possible, we recommend having a major review of every nook and cranny in your house to make sure you’ve no quids lying around. Adam Lawrence, the chief executive of the Royal Mint, said: “The end of the round £1 is a significant chapter in the Royal Mint’s 1,000-year history, and I’m sure that many in Britain who have grown up with the familiar round coin will experience a certain amount of nostalgia when the last one comes off the presses. Is now a good time to exchange pounds into dollars?